TPC Overall Rank: #403 out of 2933 rides. Decent flume I guess. It was hot and the ride definitely did its job, getting me moderately wet and giving me some refreshment on an extremely hot day. After a moderately long wait that could have been much shorter, I got on it was the atypical flume. The ride was actually longer than I had anticipated and the rides layout was very well hidden and concealed. The drops were average, but like I said, it they did cool me off a bit so the ride did its job. I wouldnt wait an eternity for this, but if the line is short, I would give this another whirl. i only vaguely remember this one. I just remember it being pretty fun log flume ride. Doesnt even compare to the theme or fun of dudley do-rights ripsaw falls or the drop of splash mountain but still a descent ride that gets a 7. Stanley Falls was fun, but I expected it to be better. The line for this was atrocious thanks to the few boats Busch had running. The course was pretty long and the logs traveled very quickly in the canals. There were two drops, with the last one being the bigger and better of the two, but still that drop was average at best. I got pretty wet from the splash, which was certainly a positive. 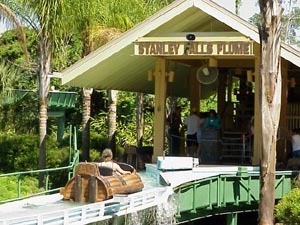 This is a decent log flume that the whole family can enjoy together. Riders get a little wet, but not completely soaked. Id say that its a small step up from the log flumes Ive seen at various Six Flags parks, but a big step down from Splash Mountain. Its worth a try if the line is short or if you have kids. 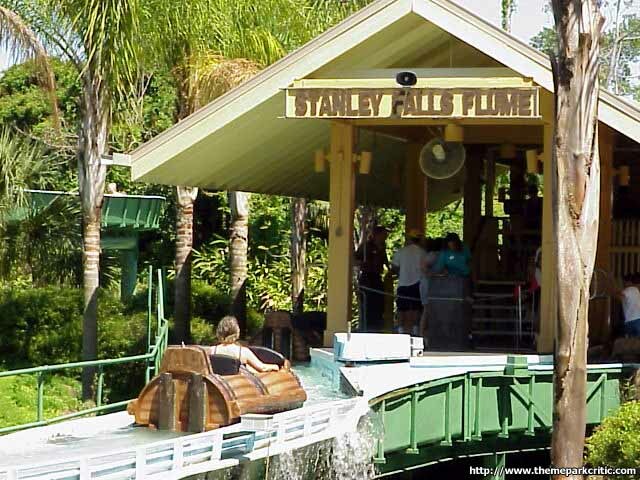 Classic flume ride with a family kinda splash. Smile for the picture to make a memory. 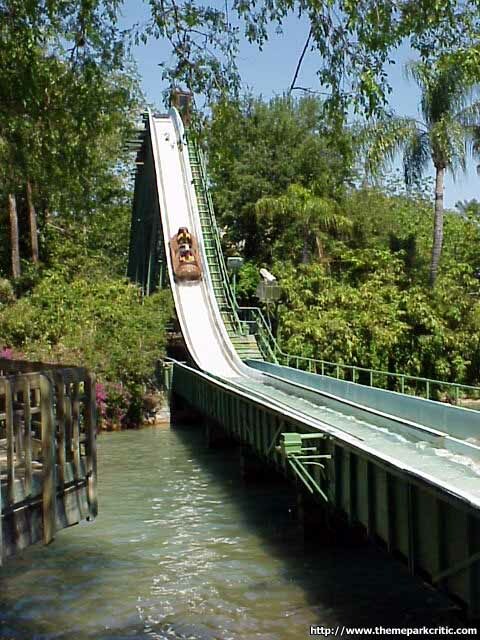 A pretty standard flume ride, with nice turns and drops. A nice splash at the end. 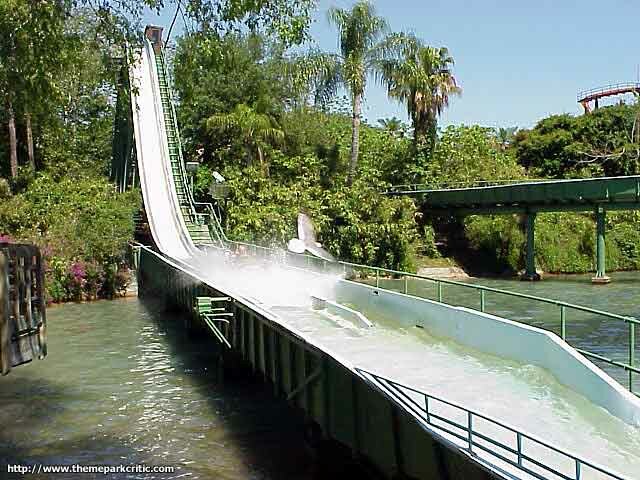 Not to much going on here with this flume you go up and drop you go up and drop,dont get too wet either.Ride it if the line is 5 minuntes or less. Pretty boring as flumes go, but it has a decent drop. This ride doesnt do much, but on a hot day its the greastest ride ever! great flume ride, the curvy parts are exciting and the 3 drops are great. The last drop really is thrilling. you also dont get wet at ALL if you sit in the back part of the boat. last rode december 17th, and that water was collllld!